MIAMI — Intermedia Touch presents a sweet new promotion at Gulfstream Park Racing and Casino. The casino game, Candy Shop, takes players on a dessert filled voyage into phenomenal prizes. Designed to fit into the casino’s brand image, Candy Shop expands on the atmosphere and helps enhance the exciting feel already in play at Gulfstream Park. Intermedia Touch continues their endeavor to make amazing, custom content. Given one minute to win big, Candy Shop tasks players with the goal of matching the many tasty treats hidden in this digital sweets shop. With every match completed, the winnings increase, match every combination possible and win $1000 cash. The casino’s guests have a chance to participate in this exciting match two game every Thursday throughout January. Look forward to more fun and exciting promotion by Intermedia Touch in the near future. Intermedia Touch bridges the gap between real and virtual by combining our award-winning software with innovative and interactive hardware solutions. 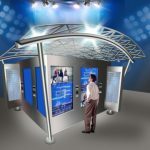 Through resolute commitment to excellence and a passion for digital signage, we bring the interactive experience to the world through every touch. 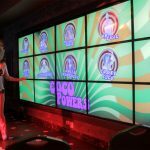 With distinguished clients including Seminole Hard Rock Hotel & Casino, Gulfstream Park Racing & Casino, Resorts World New York City and Hollywood Casino Toledo, Intermedia Touch is your source for custom, interactive touch-screen solutions.